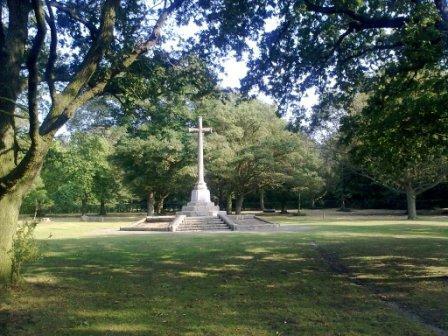 In a quiet corner of Wimbledon Common, a memorial carries the name of Lt Cmdr Arthur Leyland Harrison RN, awarded the posthumous Victoria Cross in the daring Zeebrugge raid of 1918 during the Great War. Harrison whose family lived on Durham Road, Wimbledon, was a rugby player who was capped for England. He was one of 84 members of the local Rosslyn Park club who lost their lives. 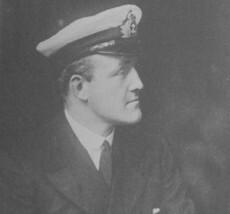 His heroic actions on St George’s Day earned him one of several VCs awarded for the mission to block the canal leading to German U-boat pens at Bruges. He led a frontal attack despite being knocked unconscious and having his jaw broken by a shell, but his body was never recovered. His story is told in the book ‘The Final Whistle: the Great War in Fifteen Players’ by Stephen Cooper. On the same memorial is the name of fellow player Humphrey Dowson MC, of Alan Cottage, Belvedere Avenue, Wimbledon. A solicitor and captain in the Kings Royal Rifle Corps, he was killed on the Somme on 15 September 1916, having won the Military Cross a month earlier. 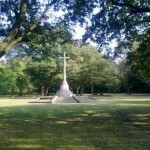 The Memorial, whose granite plaques have been restored, sits in a wooded grove within the Richardson Evans Memorial Playing Fields, the land purchased by Mr Richardson Evans to protect the memorial from the development along the A3. Every March the same fields host the National Schools Sevens, the world’s largest rugby tournament, with over 7000 junior players.